The OTX 1440 is a compact CWDM SDI to fiber optic transmitter designed to combat the restrictions involved with the distribution of uncompressed broadcast quality video signals over long distances. When paired with the fiber optic to SDI receiver (e.g. 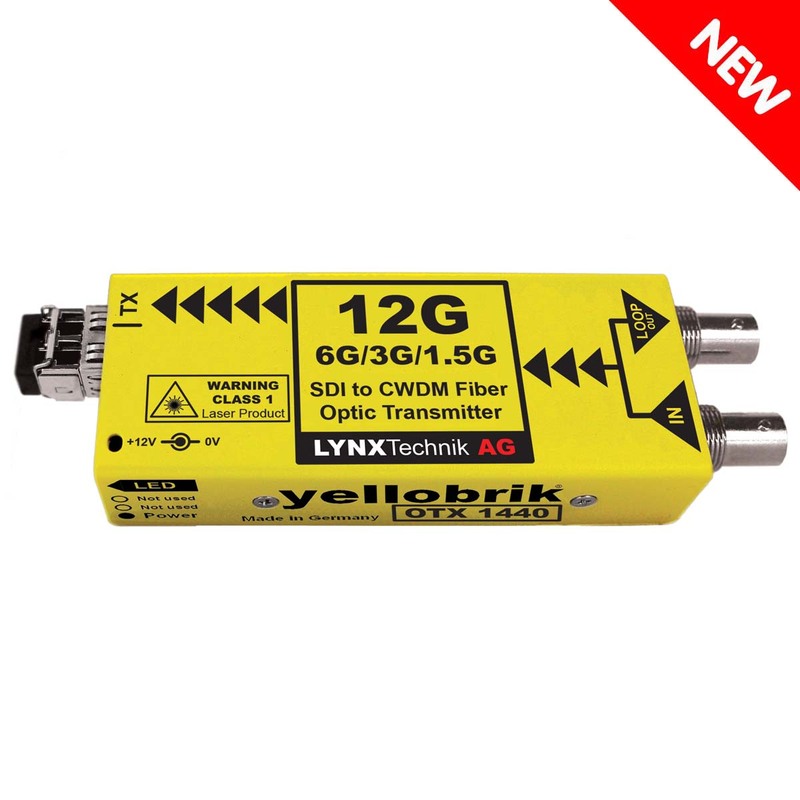 yellobrik ORX 1400) you have a very cost-effective optical transmission / receiver system for signals up to 4096×2160 / 60Hz (12Gbit/s), while preserving full uncompressed quality.Select from up to 18 wavelengths for full CWDM compatibility. Operation of the OTX 1440 is fully automatic. The SDI video format is detected, reclocked and then transmitted over the fiber optic connection. A reclocked electrical SDI output is also provided.The O TX 1440 supports 12G, 6G, 3G and 1.5G SDI video standards.